While the LCMS is a uniquely North American church body, it has relationships of varying degrees with 70 other Lutheran church bodies in 58 countries around the globe. Needless to say, all of these church bodies are unapologetically Lutheran, confessing — at a minimum — the three ecumenical creeds and the Augsburg Confession. The LCMS communicates and cooperates with these other church bodies in many areas, such as ecumenical relations, theology, theological education, mission, and mercy. The President shall be the chief ecumenical officer of the Synod … He or his representatives shall represent the Synod in official contacts with other church bodies (Bylaw 3.3.1.1.2 (a)). The LCMS President is the chief ecumenical officer of the LCMS and, as such, has the primary responsibility for managing these many relationships. Because of the size and ever-growing scope of these relationships, the LCMS President delegates this authority to a unit within his office called the Office of Church Relations, which manages these many international relationships under his direction and on his behalf. connects LCMS members, pastors, and congregations in North America to other church bodies around the world. The Global Seminary Initiative utilizes resources by offering the very best theological education to pastors and church leaders worldwide. The biggest impact is through scholarships for Lutheran international students at LCMS seminaries, a vital effort because it feeds the next generation with in-depth study of God’s Word by their own leaders. 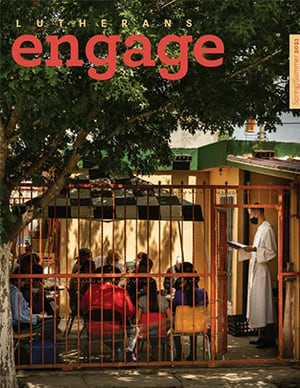 International projects and service trips have become a popular alternative for individuals and congregations that have the resources to make a significant contribution to international mission work and also want to have a personal, cross-cultural experience that enables them to feel more connected to the beneficiaries of their project. If you might be interested in undertaking an international project or service trip, first prayerfully consider the Synod’s best practices for short-term mission. The Synod, under Scripture and the Lutheran Confessions, shall—Conserve and promote the unity of the true faith (Eph. 4:3-6; 1 Cor. 1:10), work through its official structure toward fellowship with other Christian church bodies, and provide a united defense against schism, sectarianism (Rom. 16:17), and heresy. The LCMS has allied relationships with the following churches. The LCMS has nascent dialogue with the following church bodies. 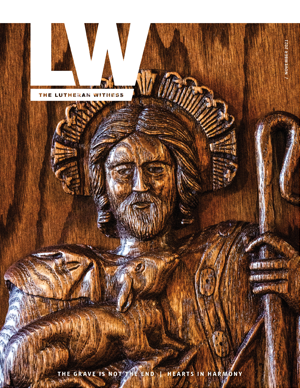 The Journal of Lutheran Mission is an electronic publication of The Lutheran Church—Missouri Synod, focused on a uniquely Lutheran approach to mission. The ILC is a worldwide association of established confessional Lutheran church bodies which proclaim the Gospel of Jesus Christ on the basis of an unconditional commitment to the Holy Scriptures as the inspired and infallible Word of God and to the Lutheran Confessions contained in the Book of Concord as the true and faithful exposition of the Word of God. The goal of The Wittenberg Project is to honor our Lutheran heritage as we approach the 500th anniversary of the Reformation by nurturing and strengthening the faith of Christians and introducing the Christian faith to non-Christians, especially those living in and around Wittenberg as well as the thousands of people from around the world who visit this historic place each year. You can help make a difference in The Lutheran Church—Missouri Synod’s relationships with Lutheran church bodies around the globe.